Expanded effort tomorrow with mobile thrift center! We will have the mobile free thrift center open from noon to 6 pm. 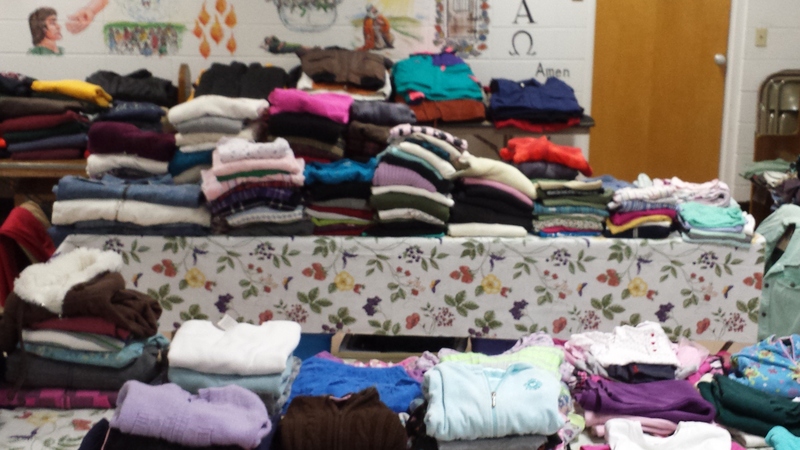 thursday Feb. 13th at the First Presbyterian church 3 1/2 blocks east of Carquest on 4th Ave.
We will have the mobile center as well as 8 or 9 tables inside of the church with lots of winter wear, coats, sweaters, flannel shirts, bedding, and, as they say…much, much more. If you are in need of anything or know someone who does, please pass on the word. Special thanks to all who have donated items and have helped sort making this effort possible.